The mayor proposes making permanent a pilot program for mobile produce vendors. CITY HALL — Mayor Rahm Emanuel is trying to make sure Chicagoans get every opportunity to eat their fruits and veggies. The mayor is moving to make permanent a pilot program allowing produce carts. At the same time, he'll slash the license fee from $275 to $125 and tinker with the requirements that may result in more carts operating in areas outside poor neighborhoods. Emanuel's proposal, submitted at last week's City Council meeting, builds on a program approving food carts, but is aimed specifically for mobile food vendors dealing in produce. Department of Public Health spokesman Matt Smith said the aim was to give residents better access to fruits and vegetables and promote overall health. "Based on what we've learned from a pilot program — which has resulted in numerous produce stands across the city, including underserved areas such as Lawndale — the city has introduced reforms to make it easier for businesses to participate," Smith said. Emanuel's proposal is designed to "reduce obstacles and encourage more businesses to participate so that residents from all communities have easy access to fresh food," Smith said. 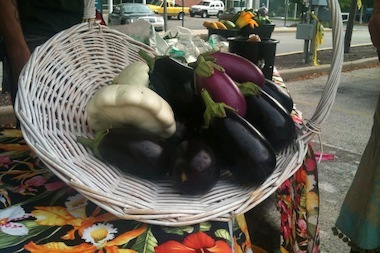 Produce stands on the public way were authorized by aldermen in 2012 as a pilot program. Some 42 permits have been issued, with a maximum of 30 active at any given time. The expansion will allow up to 50 permits, and demand that a third of them, down from half, be in low-income areas, because the city has found that many low-income residents nonetheless do their shopping in more well-to-do areas where they might work. Vendors had been limited to selling water aside from produce, but if the new proposal passes it will allow the selling of other drinks as long as they don't contain added sugar. Other aspects of the food-cart program — such as the provision that fruits and vegetables need to be sold intact, or else prepared in a licensed kitchen — will stand. The measure is expected to be cleared for passage at the July City Council meeting.